To make a really rich and delicious soup, you need a flavorful base. Vegan soup stocks can be just as rich and nuanced as stocks made with meat–and they have the added benefit of a powerful infusion of antioxidants. 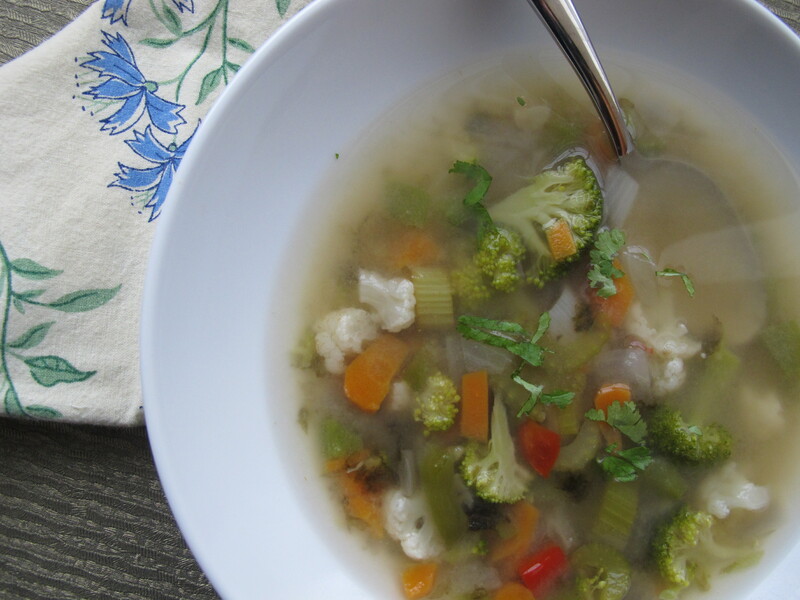 Here, master cook, Geoff Fields shares his soup stock recipe with us. Vary it with the produce and spices you have on hand and you’ll have created your own recipe. Thank you, Geoff! Preheat oven to 375 degrees. Roast vegetables with olive oil in pan for 20 minutes. Transfer vegetables to stockpot. Deglaze roasting pan with 1 cup white wine and add contents to stockpot along with bay leaves, thyme, and parsley, and enough water to cover. Gently simmer, skimming often, for 1 hour. Prepare ice bath. Strain stock through sieve or cheesecloth into container; rest container in ice bath. Refrigerate stock for up to 2 days, or freeze in container(s) for longer storage. If you have no time to make soup stock and want the best alternative, Here are the recent winners of the Vegeterian Times soup stock taste awards: Wolfgang Puck Organic Vegetable Broth, Swanson Organic Vegetable Broth, Manischewitz Vegetable Broth, Saffron Road Classic Culinary Vegetable Broth. If you want to use a bouillon cube, just check the sodium content and make sure there is no added MSG. Better than Bouillon, which I used to use all the time, is loaded with hidden MSG under the name ‘autolyzed yeast extract.’ I now use CelefibR cubes that I purchase from Harvest Health.